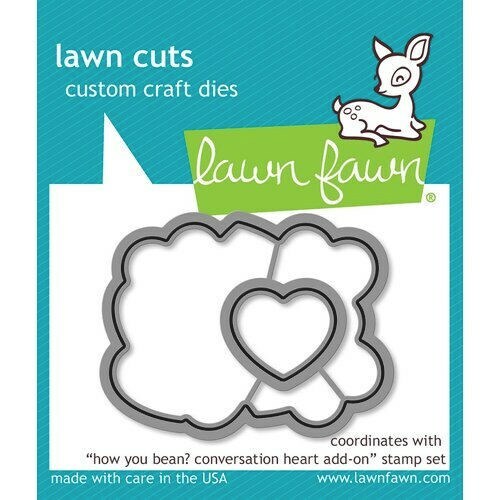 The conversation won't be cut short when you chat with the How You Bean Conversation Heart Add-On Dies from Lawn Fawn! The package includes 2 thin metal dies that measure .875" x .75" and 2" x 1.675" and are from the Lawn Cuts Collection. The dies are compatible with most die cutting machines and coordinate with the How You Bean Conversation Heart Add-On Stamp Set from Lawn Fawn all sold separately. Made in the USA.